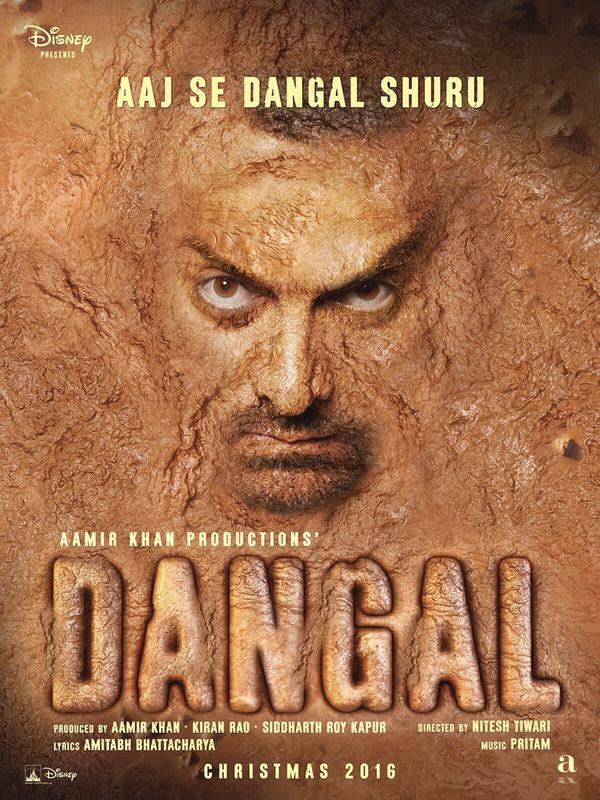 Finally here is the official first look poster of upcoming biopic Dangal. The film stars Aamir Khan, Sakshi Tanwar, Fatima Sana Shaikh, Sanya Malhotra, Rajkummar Rao and others. Directed by Nitesh Tiwari and produced by Disney Studio India the drama film is all about Mahavir Singh Phogat, who taught wrestling to his daughters Babita Kumari and Geeta Phogat. Geeta Phogat was India's first female wrestler to win at the 2010 Commonwealth Games where she won the gold medal(52 kg) while her sister Babita Kumari won the silver(55 kg). See Also : Akshay Kumar's Oops moment on the sets of Housefull 3! The film is scheduled to release on 23 December 2016.